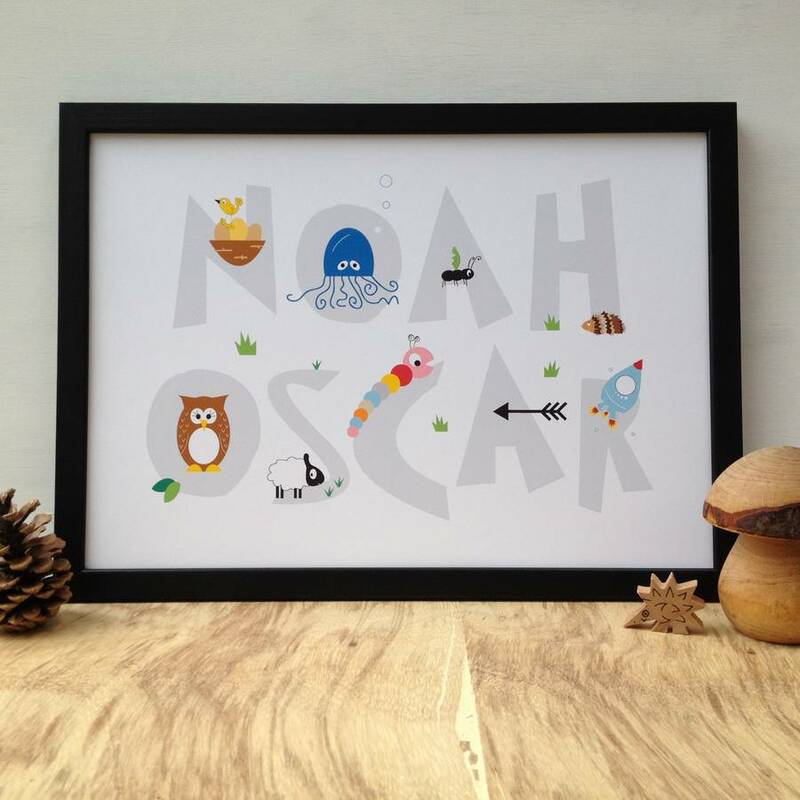 Add a touch of adventure and an extra dash of cute to your child’s room with this illustrated name print. 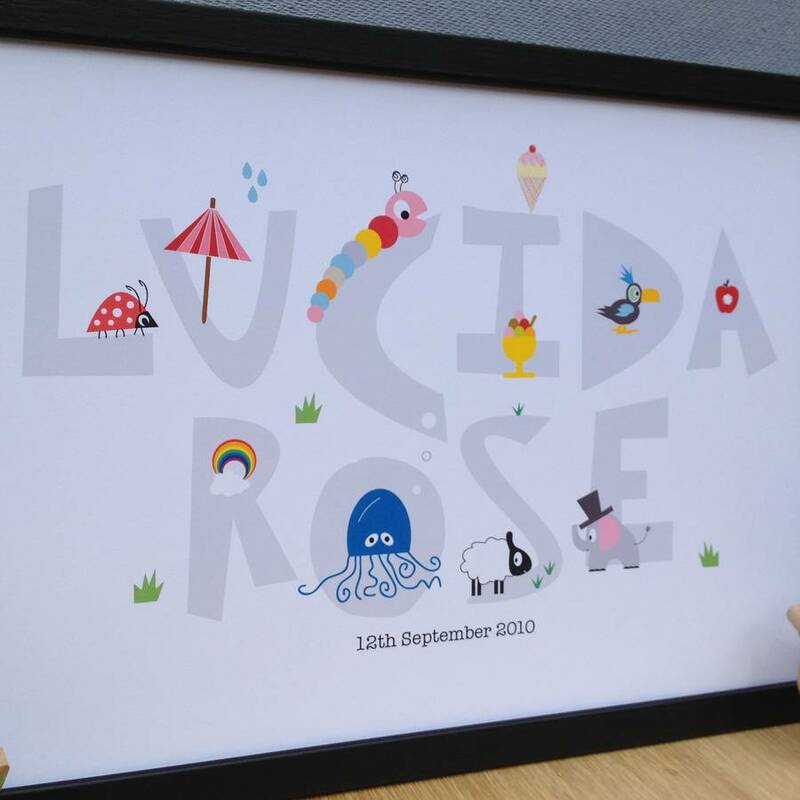 With this personalised children’s print, kids will love seeing their name up on the wall, and they’ll use the characters and drawings to learn their letters and spark their imagination. 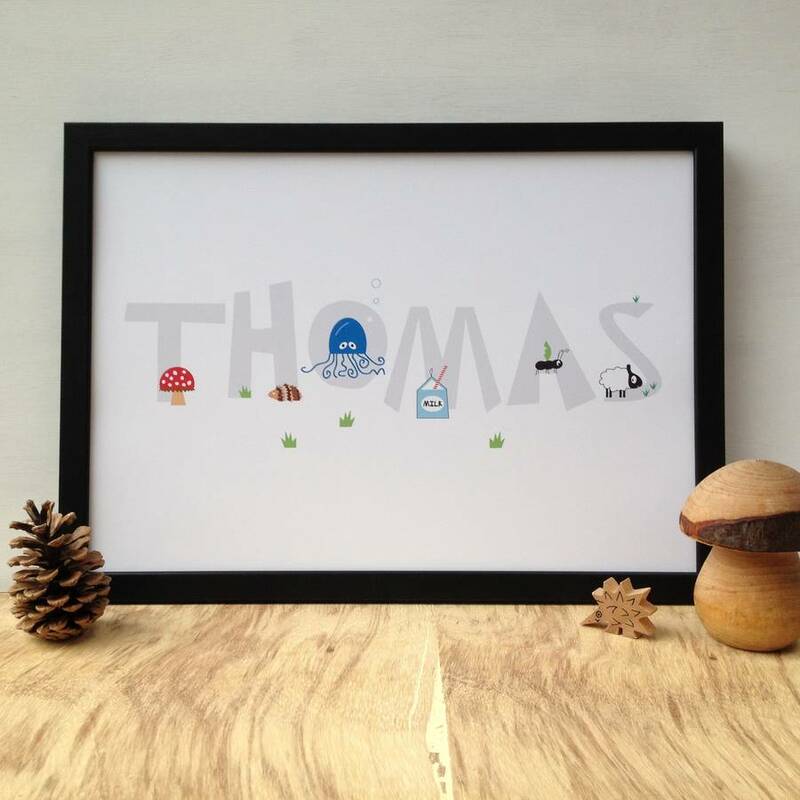 Each custom designed letter is illustrated with a character or object that begins with that letter – perfect for learning your alphabet! 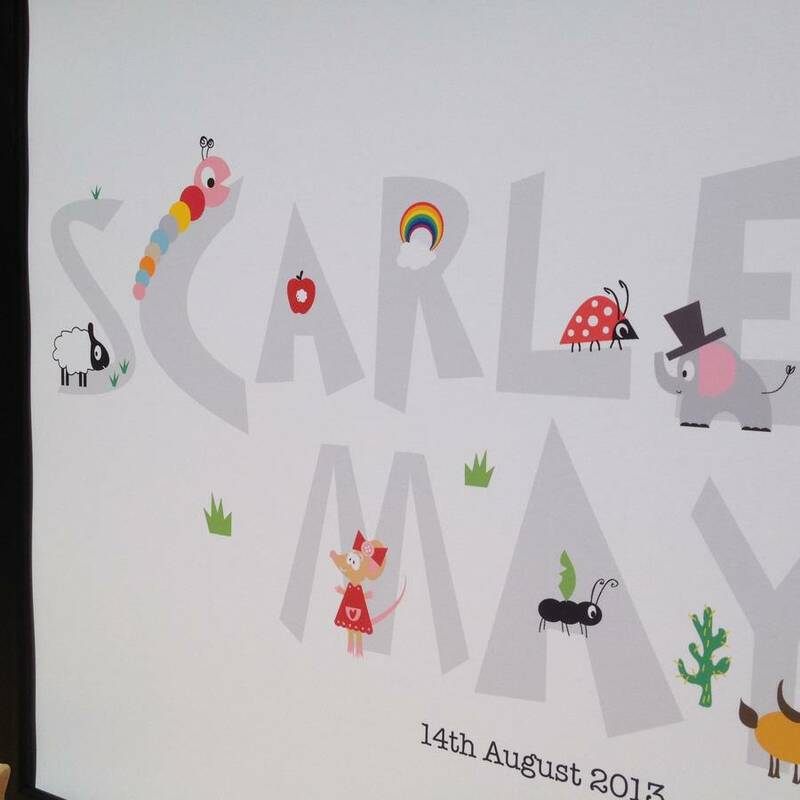 Repeated letters have different characters to mix it up and keep the fun going. 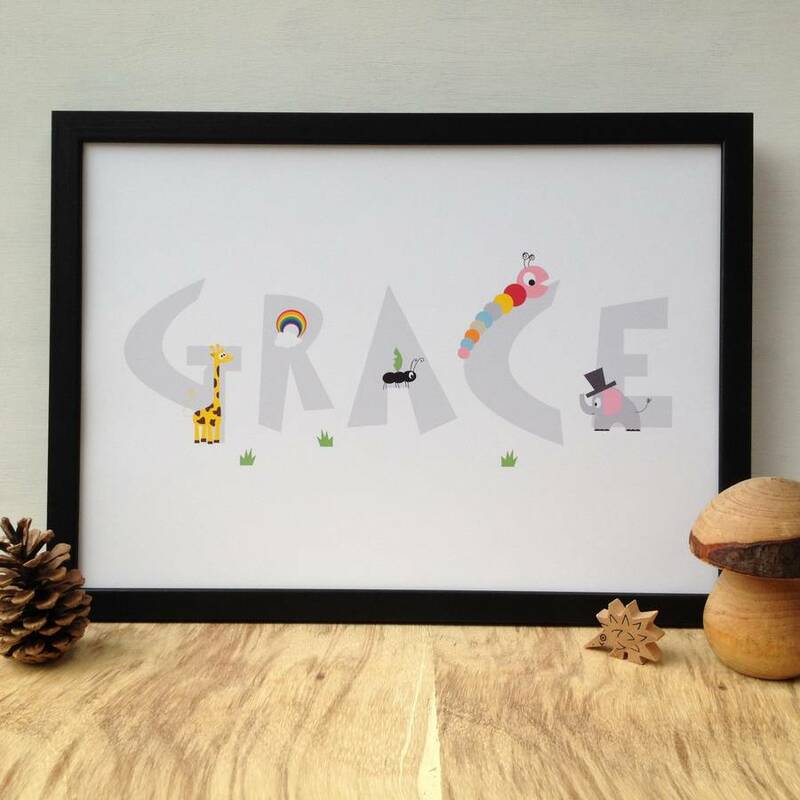 The print is a big A3 size, which makes a great statement piece for a child’s room. This print is personalised with up to two names of your choice, whether you choose to include first names, surnames, nicknames – it’s totally up to you! 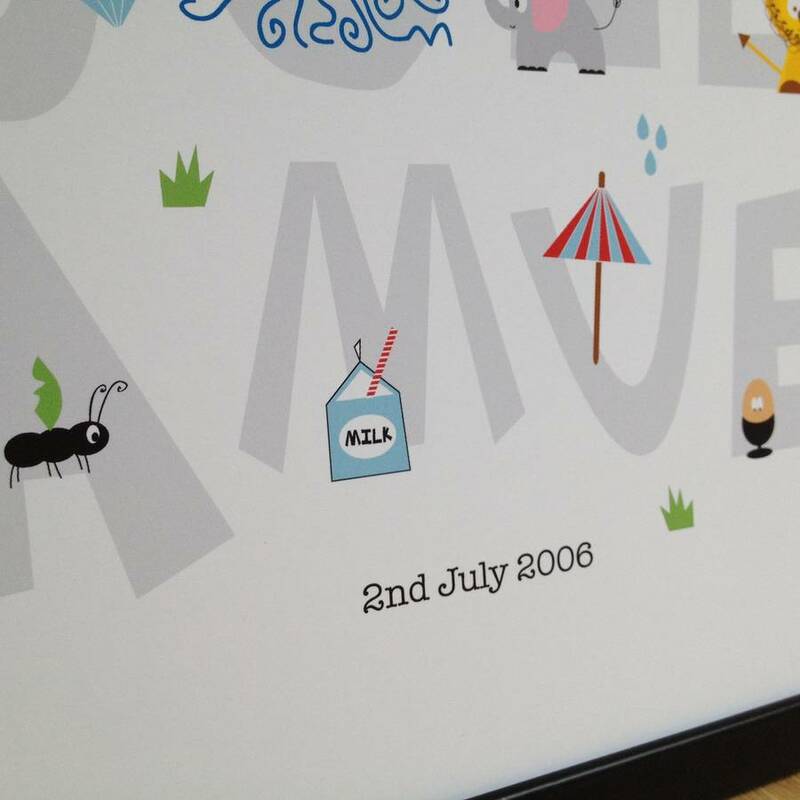 You can also add a little message underneath the names, which works great as a place to remember your child’s birthday, birth weight or place of birth. 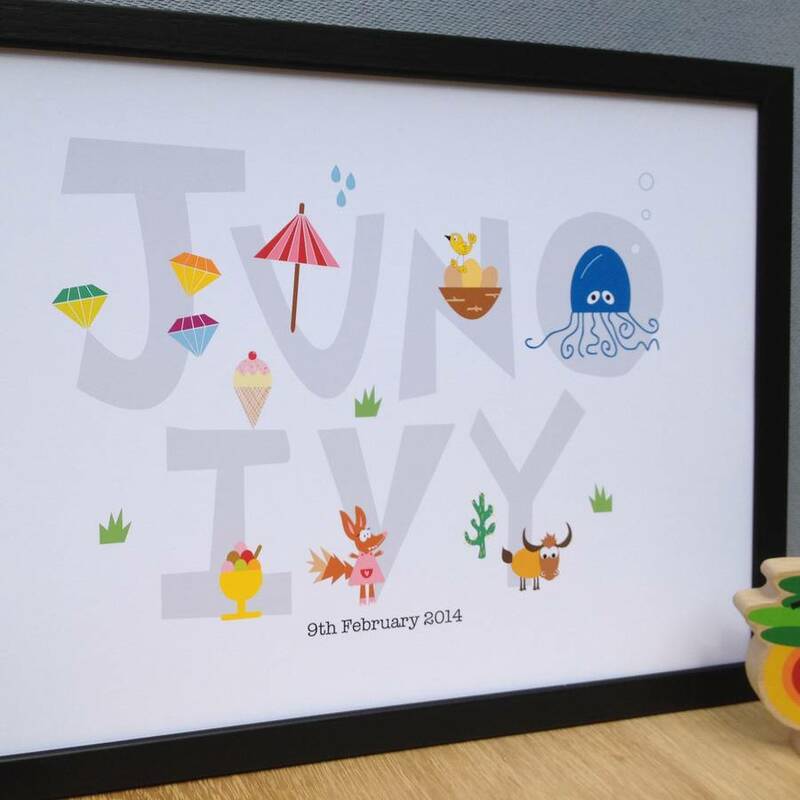 You might like to add a message such as “Loved by Mummy, Daddy and Harry”. 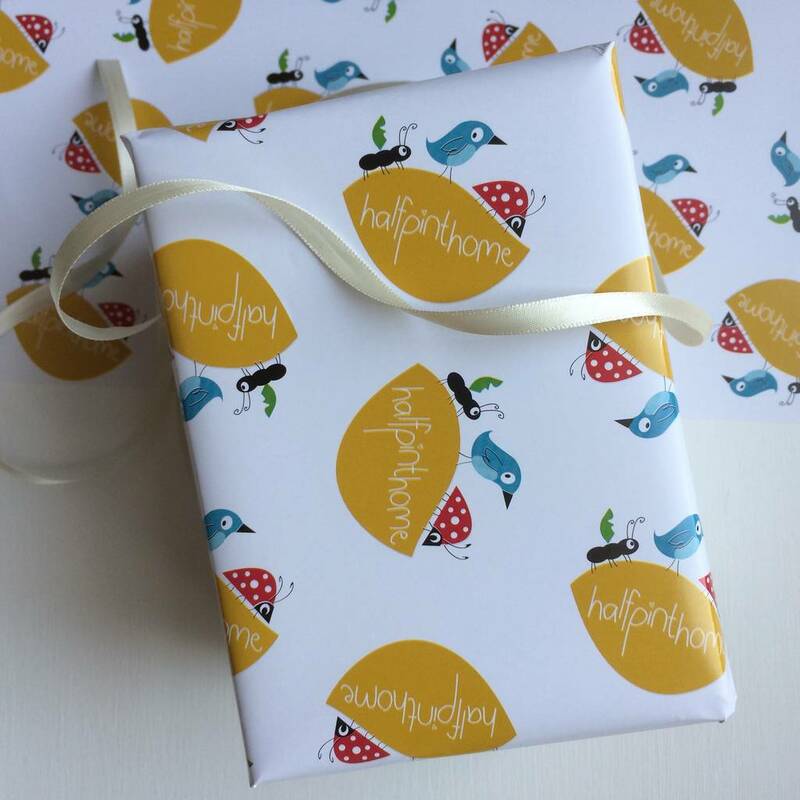 You can include whatever you like in this short message. 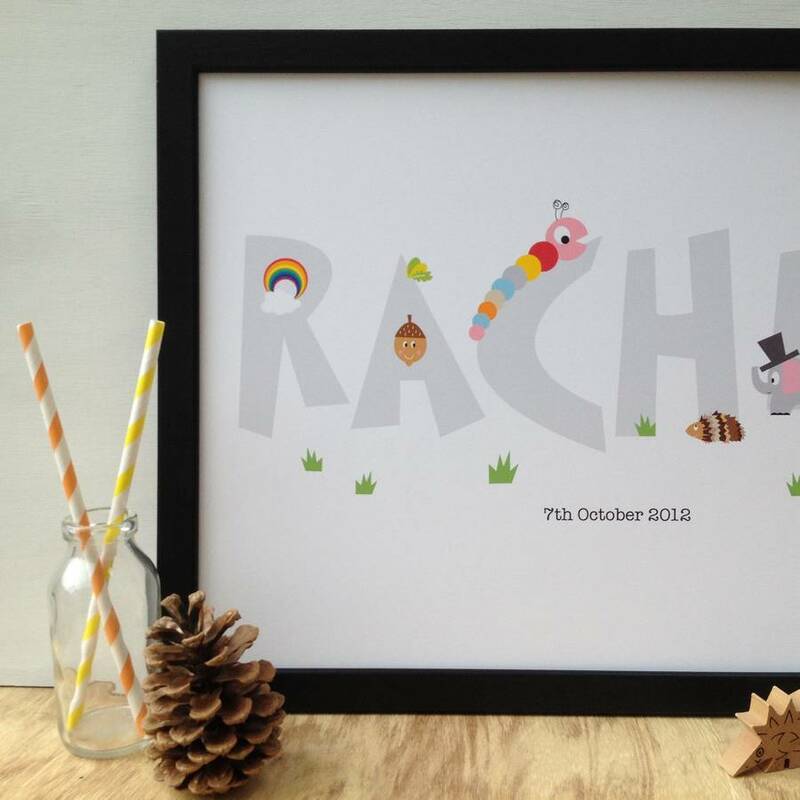 Longer names will appear smaller, but they’ll be designed carefully to make sure they’re evenly spaced and looking gorgeous. 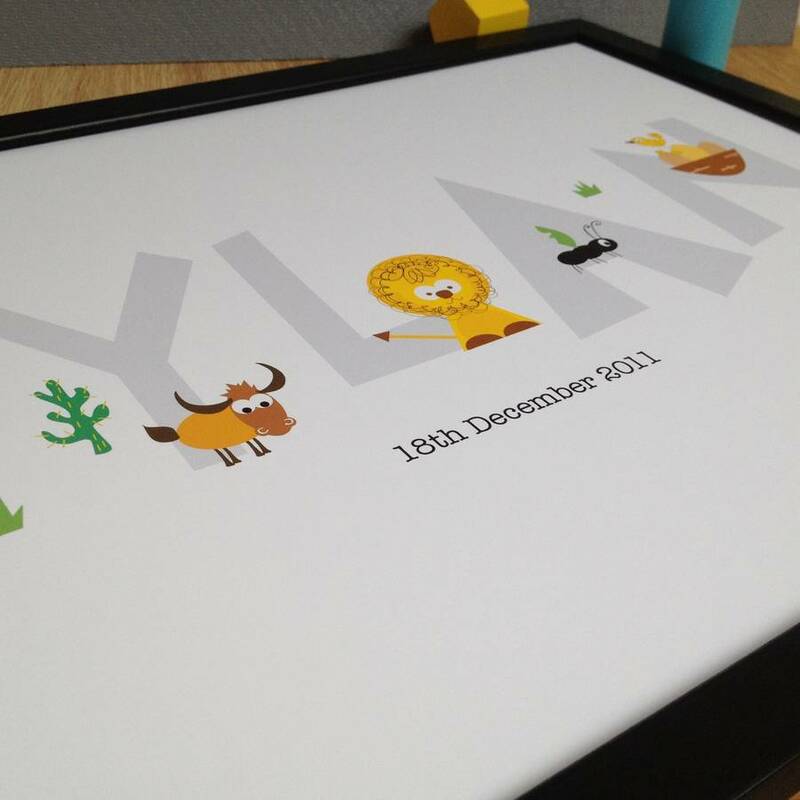 Prints are supplied unframed, but fit standard A3 frames. 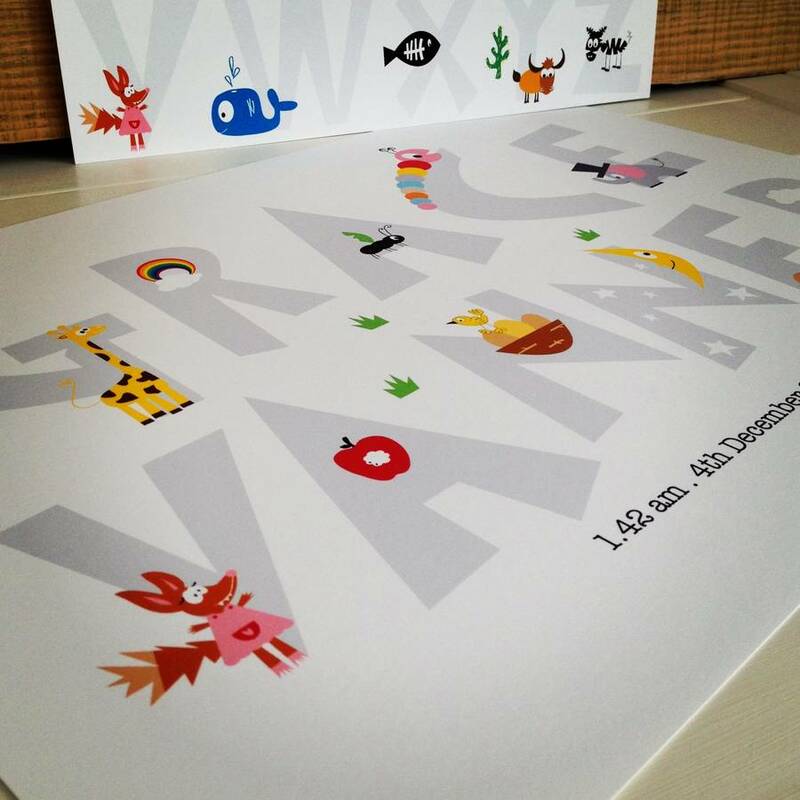 Printed onto quality 192g archival matte paper.